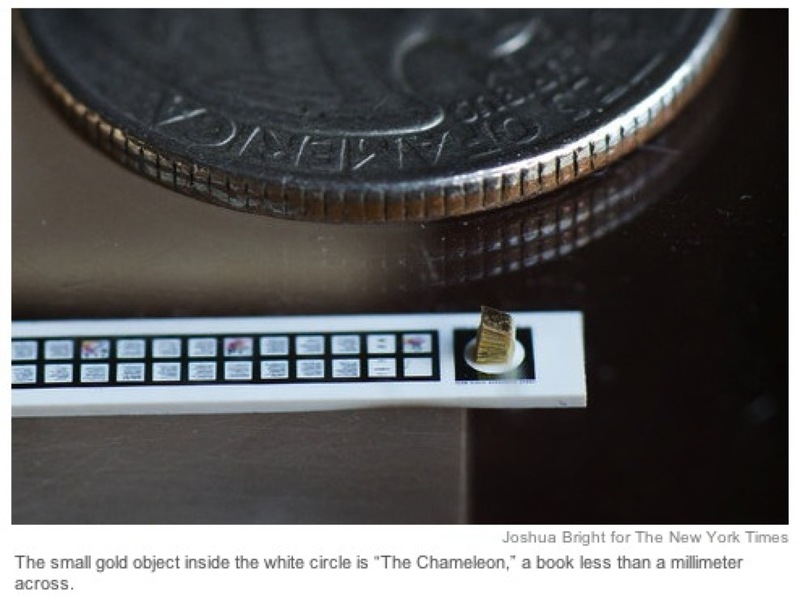 Library of Miniature Books Has Its Own Story « Adafruit Industries – Makers, hackers, artists, designers and engineers! Library of Miniature Books Has Its Own Story – NYTimes.com. He browsed the books like a giant looking for something to read. Some were small enough to fit into a fold of his hand. Many of the books were illegibly small, and he didn’t know what they were all about. But reading them was never the point. Neale Albert, 75, is a collector of miniature books, and he may be the most serious collector living in New York. By definition, miniature books are properly printed and bound, and for the most part no larger than three inches. Mr. Albert has over 4,000 of them, some the size of matchboxes and others smaller than a tab of chewing gum. Some of the books are worth many thousands of dollars.